Although our business started with a focus on hostas and other perennials, we are also making a name in the area of trees and shrubs. We first became interested in dwarf conifers in the late 1980s because the perennials needed some woody companions that wouldn't grow too large. Our customers are learning that we carry a pretty amazing selection of these dwarf conifers. 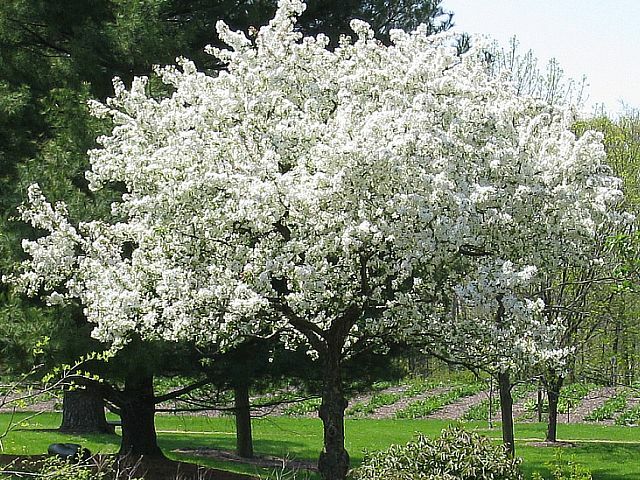 Over the years, we have expanded our selection to include a wide range of trees and shrubs. We do carry some tried and true varieties, but we are always on the alert for something new and different. We only bring in varieties that should be hardy in our area. Come check out our selection. You're sure to be impressed. Naturally, we try to plant in our display gardens at least one of every new tree or shrub that we get in. As a result, we now have an ever expanding arboretum on the grounds. Ask, and we will point out where you can find a growing specimen plant.